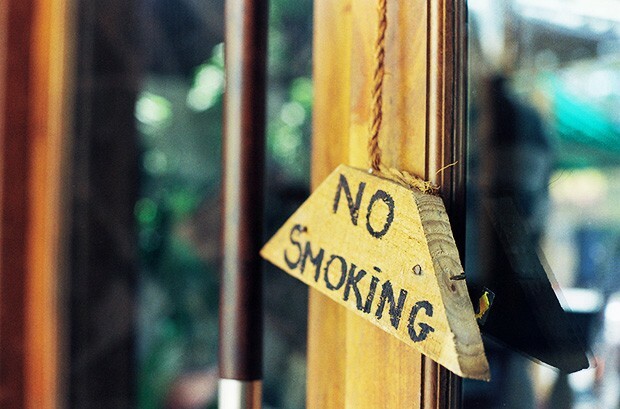 Smokers have become accustomed to stepping outside at bars and restaurants. But has the change in rules governing enclosed public places inspired enough of them to smoke less behind their own closed doors or maybe even quit altogether? These questions were posed in research recently published in Nicotine & Tobacco Research, in which a team that included Sylvia Kairouz of Concordia found no significant change in home habits in the aftermath of a ban. But the measures could have an impact in more complex ways. With advance knowledge of a smoking ban in Quebec, Canada that took effect in May 2006, researchers were able to collect data from a representative cross-section of the population a month ahead of time. They then followed up a year and a half later. Naturally, growing awareness of the health impact of secondhand smoke contributed to the stricter laws, although a number of those who kept puffing at home claimed to be trying to reduce nicotine exposure to others, even if those strategies for quitting are generally futile. Greater inspiration to kick the habit likely comes from having friends or family who set an example by giving up cigarettes themselves. But trends over the past decade suggest a much broader range of factors have reduced the number of nicotine addicts beyond simply forcing smokers to huddle outdoors more often. Partners in research: This research was supported by an operating grant from the Canadian Tobacco Control Research Initiative and a contribution from the Ministère de santé et services sociaux. Want to quit smoking? Check out these resources.